It may seem a little strange to write about alternatives to sugar on a site that is called ‘SugarNess’, however, I’m obviously aware that sugar is not a health food and if we can look at ways of substituting it with healthier alternatives in at least some of our recipes, then I’m all for it. For those with diabetes and some other conditions, it is even more crucial to restrict sugar intake. When we talk about sugar, we are generally referring to sucrose obtained from sugar cane, or sugar beets, and processed into the granulated or powdered form that we are all familar with. Some recipes are dependent on the specific functional properties of sugar in order to work, so we clearly can’t just assume that substituting an alternative sweetener for sugar in a recipe will yield the same results. I did a bit of research on alternative sweeteners and found that there is an awful lot of confusion and conflicting information about which types of sweeteners are healthier than others, and which ones can be subtituted where. I am therefore going to do a series of posts over the next few weeks and months looking individually at a range of alternative sweeteners, both natural and artificial. – As with all food products, don’t assume that just because it is labelled ‘natural’ that it is healthy. – There are two main factors you should look for when searching for a healthier alternative to sugar; a) The less processed it is, the better, b) Usually, the lower the Glycemic Index value, the better. – When replacing sugar with an alternative sweetener in a recipe, keep in mind that adjustments in amount will need to be made as the sweetness level will usually be different. Also, if your alternative sweetener is liquid, then your other liquids will need to be reduced. Be prepared for a bit of trial and error until you get the perfect balance. – Some sugars are processed by being filtered through animal bone based charcoal, so vegetarians/vegans have an additional reason to search for alternatives. Do look out for my upcoming posts on individual alternatives to sugar. In the meantime, I’d love to hear below whether you use alternatives to sugar in your cooking and what kind of results you have had. Thank you to Mayumi-H for the suggestion that I write about alternatives to sugar. Mostly, I think that natural is better, which means I end up using “real” sugar and not trying to substitute. I’d be more likely to use applesauce in place of oil than to substitute out my sugar. Molasses does have a very distinctive taste doesn’t it! I must say, I haven’t done a whole lot of substituting myself, but I’m looking forward to learning more about it and sharing that on here! There are so many alternatives aren’t there, and it depends so much on what people want as to whic they would go for – do they have to cut back on sugar because of a medical condition? Do they just want to reduce the calories of the recipe? Do they want to try and make it more nutritious? Do they want to change the taste? And probably other things that I haven’t thought of too! I’m always trying out recipes with ingredients swapped for healthier versions. I have a banana bread which I make with agave syrup that is so much better than the original – even more moist, and the agave gives it a slightly boozy taste. I’ll send recipe and photo next time I make it! I have used Splenda in my baked goods, and for the most part, I haven’t noticed much difference in taste, though sometimes the consistency seems a bit different (e.g., when I make banana bread). I look forward to your future posts on the subject! Thanks Carrie. They sell Splenda over here in the UK too, but I’ve never tried baking with it. Everyone is talking about banana bread at the moment! 🙂 Both you and Gabriela mentioned it, and prior to today’s post I had been thinking about posting a recipe I have for a really quick and easy banana bread. Okay. Now I want banana bread. You’re welcome, thanks for the suggestion, it’s set me off on a whole series of posts! It’s very much down to the recipe isn’t it, some recipes lend themselves well to certain substitutions, others not so much! Thank you for stopping by to comment. I know a lot of people who go GF report increases in energy, I don’t know if that’s the case for you. I love honey. When I was a child I spent a year living in the French Alps in a completely self-sufficient community and we had our own hives there, and so honey is a real poignant taste for me. I agree about the uniqueness of the different flavours. 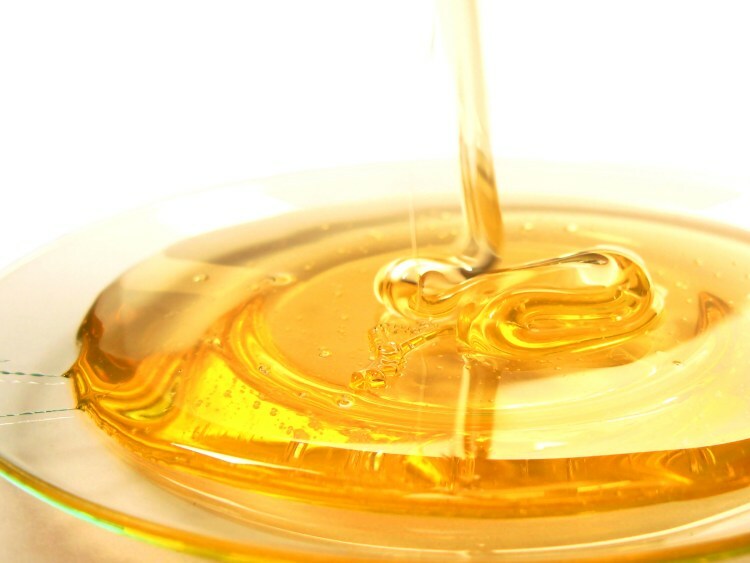 Raw honey has natural antibiotic type properties too doesn’t it, a spoonful of honey can be medicinal! I’m looking at your little disclaimer at the bottom of the site and thinking that’s a good idea. Is it just a ‘Footer’? I should do something like that. Have you heard of Agave? It’s an alternative to sugar. It’s a honey like substance that comes from cacti. Thank you. Yes, it’s just a footer. I have heard of Agave nectar, it’s one of the ones that I plan to do a post about, and a couple of other commenters mentioned it too, so I might make that the first one, we’ll see!